Spissky Hrad (Spis Castle) has one of the largest ensembles of 13th- and 14th-century military, political and religious buildings in eastern Europe . It stands on a 634 meter high hill in western Slovakia. 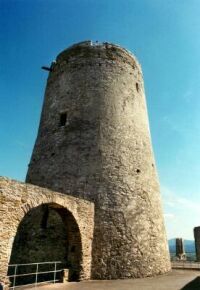 The castle has both Romanesque and Gothice elements (comparable with castles in France and England).